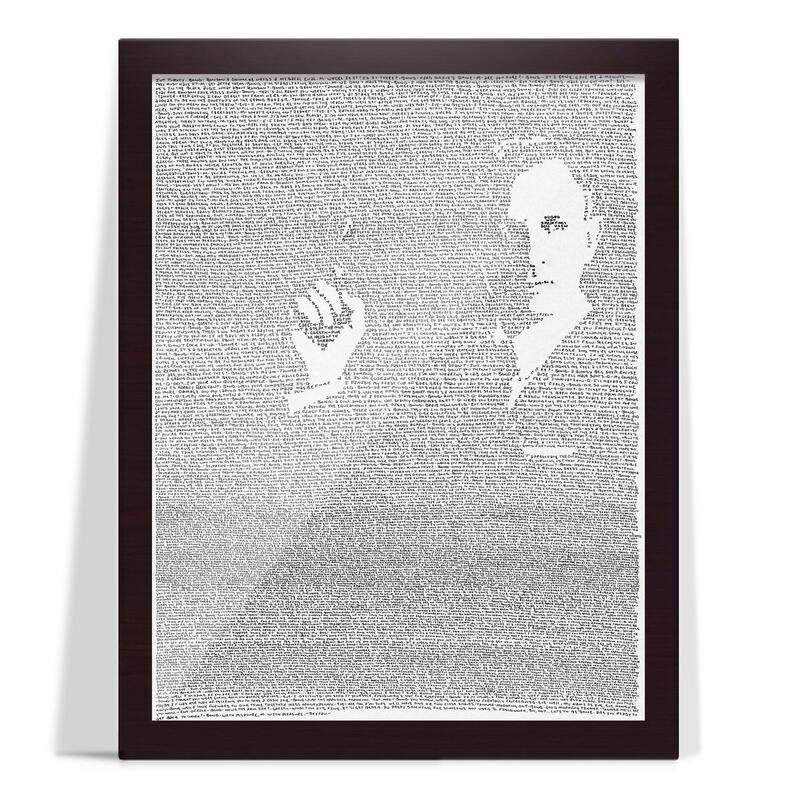 Handwritten poster portrait of James Bond comprised entirely out of the complete film script from SKYFALL. Done originally with black ink on layout bond. 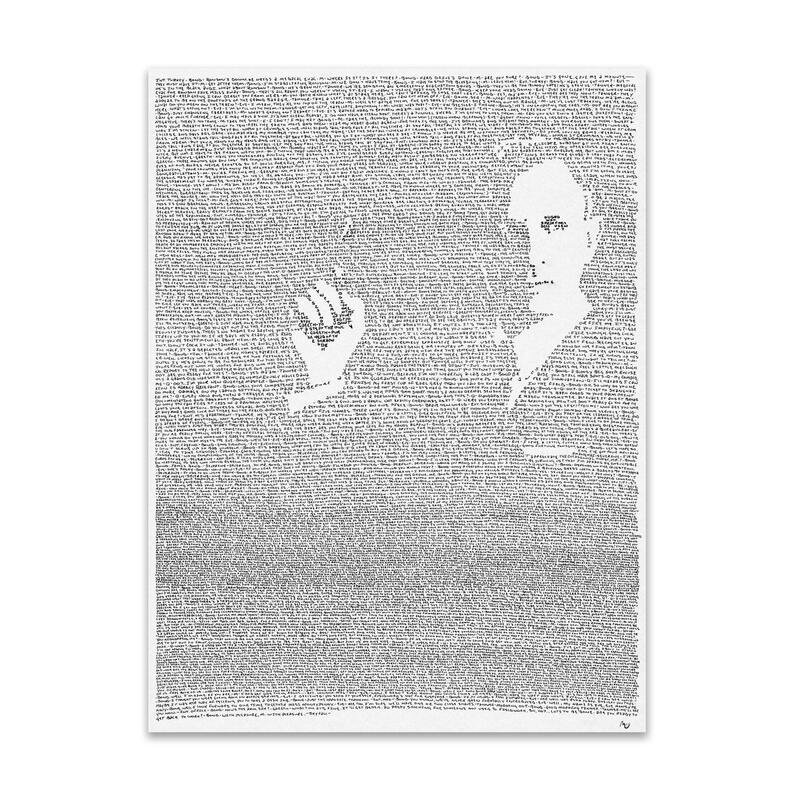 This reproduction is printed on 100 lb uncoated gloss paper 24" by 18"
The poster was made by sitting down and writing out each word with a pen, line by line, down the page and increasing and decreasing the space between the letters until the portrait emerged. 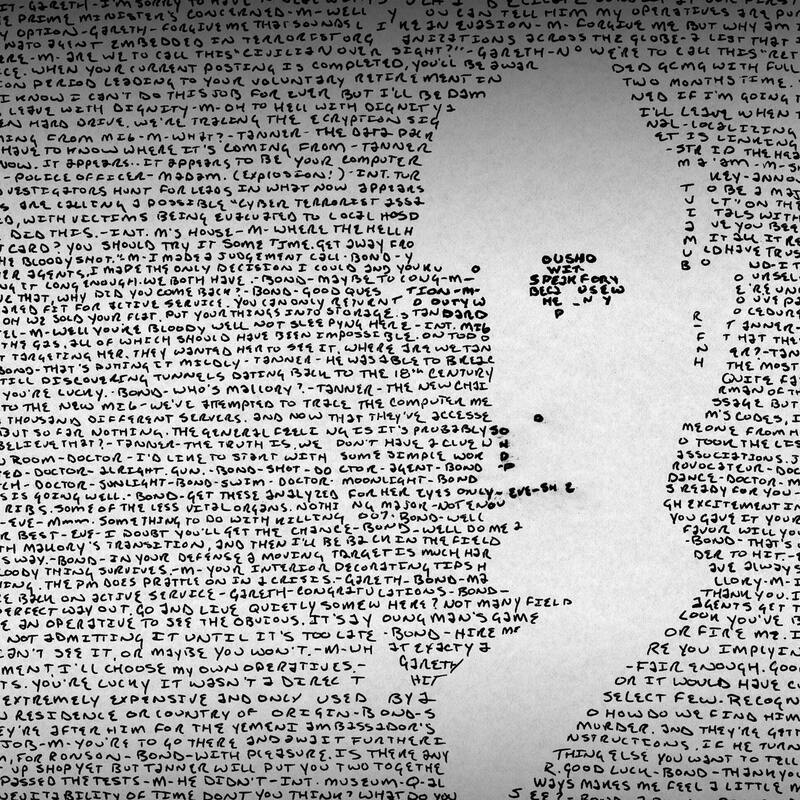 Over 40+ hours of writing and craftsmanship. 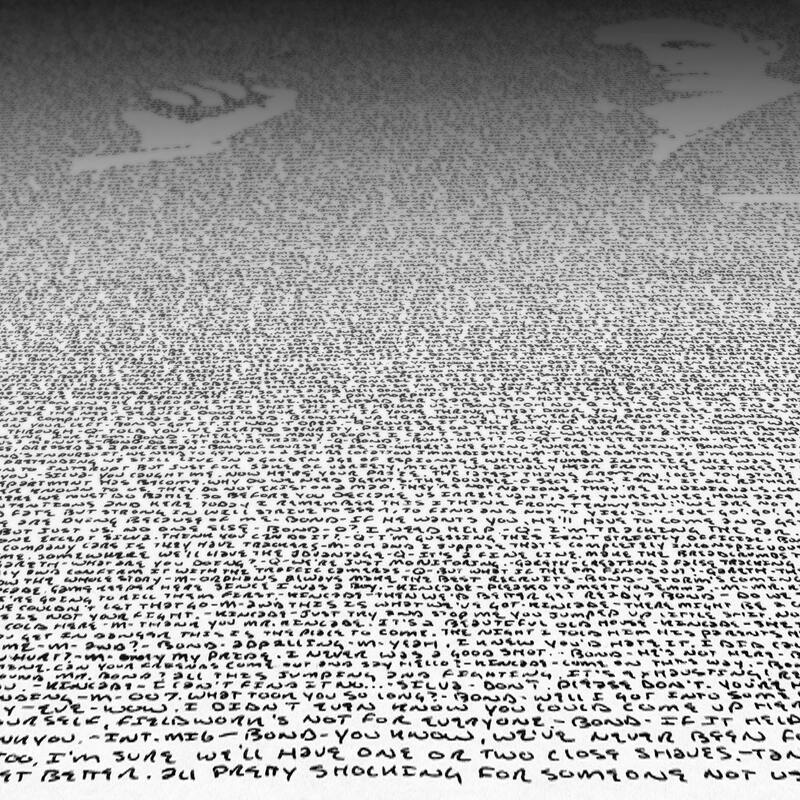 Only 250 posters in stock. *Poster is shipped in a sturdy cardboard shipping tube, and packaged in a plastic sleeve to prevent damage. Great piece and great customer service, had a problem with shipping and he more than resolved the issue thanks! The Poster is Awesome; since it was a gift I needed it by a certain time, Mike got it to me early, so I did not have to stress about receiving it on time. He truly went above and beyond. This was the best birthday gift for my son. He was stunned. Thank you so so much!